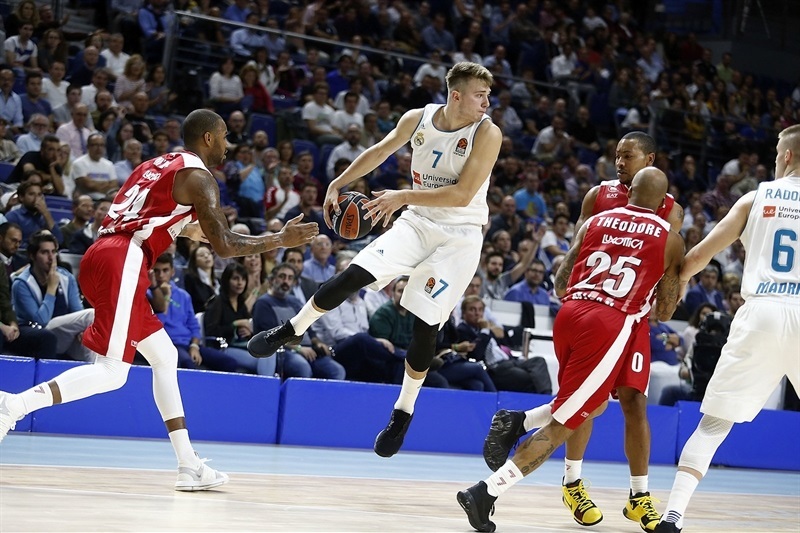 Luka Doncic produced one of the best games of his young career to lead Real Madrid over AX Armani Exchange Olimpia Milan 100-90 at WiZink Center in the Spanish capital on Tuesday night. The victory kept Madrid’s record perfect through three rounds of action and denied Milan its first victory. 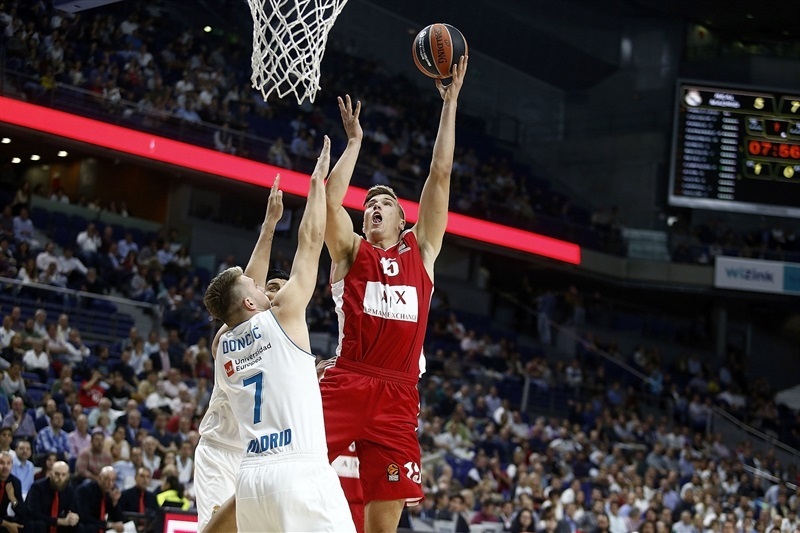 Madrid was shorthanded without injured big men Anthony Randolph and Ognjen Kuzmic, but it did not matter as the 18-year-old Doncic tied his career highs with 27 points and 3 steals in addition to 8 rebounds and 5 assists for a career-best performance index rating of 41. 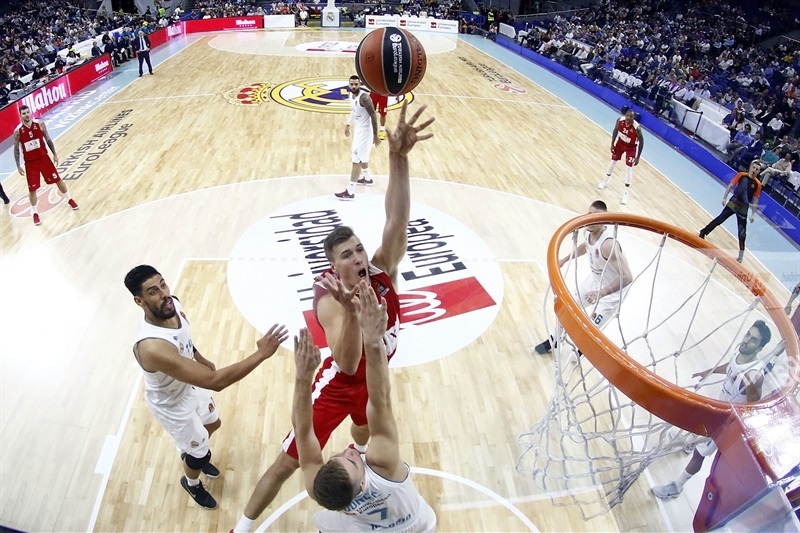 After the sides hit the locker rooms at halftime with the score even at 54-54, Doncic scored 12 in a 20-0 third-quarter run that gave Madrid the lead for good. 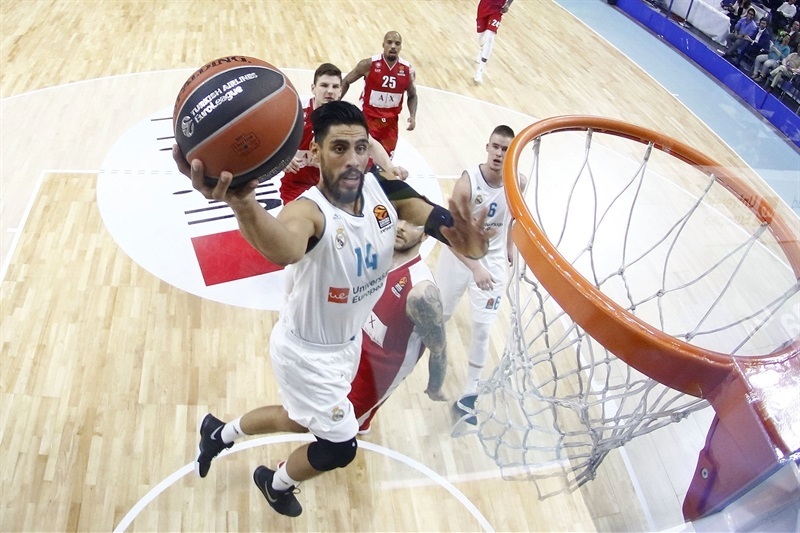 Facundo Campazzo added 14 points and 6 assists; Gustavo Ayon produced 13 points, 6 assists and 3 steals; Fabien Causeur added 12 points and Jeffery Taylor added 11 for the winners. Arturas Gudaitis and Andrew Goudelock paced Milan with 20 points apiece. Gudaitis also blocked 4 shots. 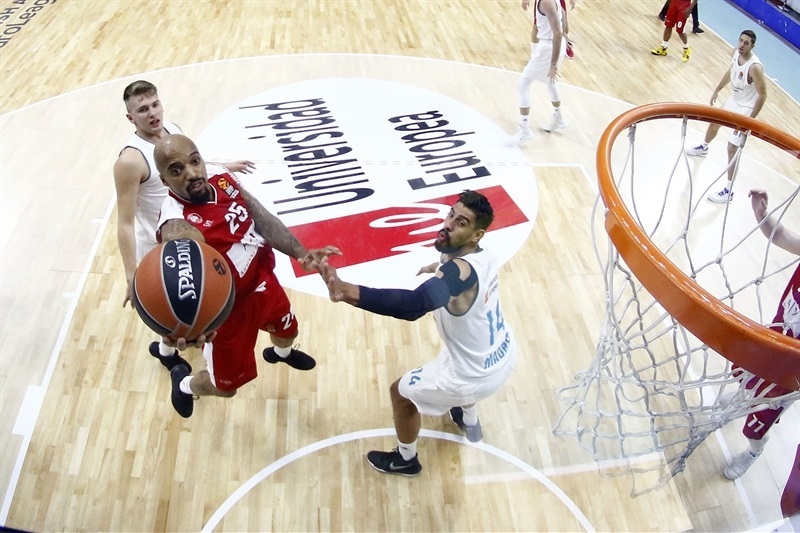 Vladimir Micov added 15 points and Jordan Theodore had 10 points and 5 assists in defeat. 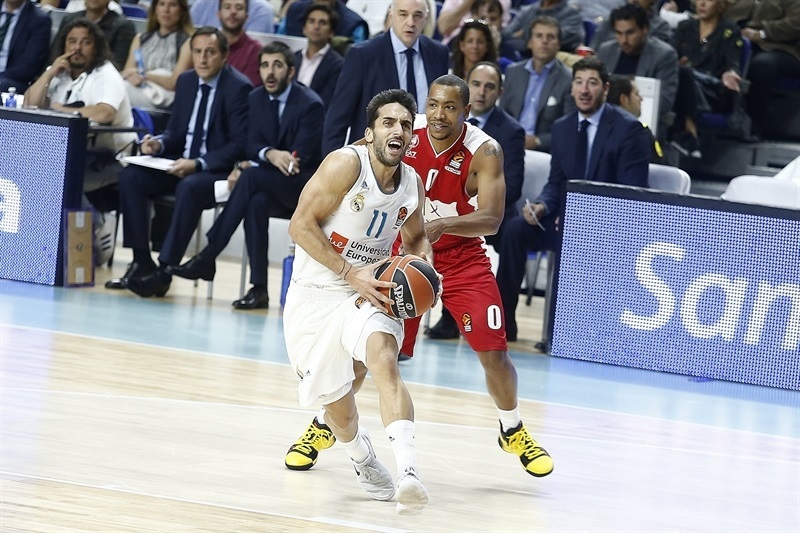 Some hot shooting gave Milan an early lead, but Campazzo stepped up and brought Madrid back. The visitors suffered an early problem when Kaleb Tarczewski was called for his third foul just five minutes into the game. Taylor free throws gave Madrid its first lead and Ayon extended it to 18-14. Doncic added his second three-pointer and a pair of free throws but Theodore kept his team in the picture. Goudelock’s triple in the first-quarter buzzer brought Milan within 30-28. Goudelock started the second with a basket-plus-foul, which put the visitors ahead. 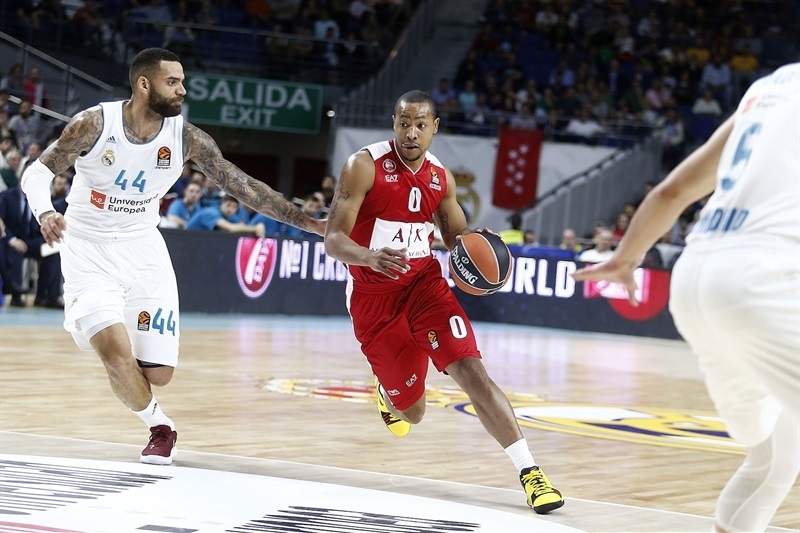 Chasson Randle scored a pair of tough baskets for Madrid, which briefly regained the lead before back-to-back threes by Micov made it 39-43. The home side remained hot on Milan’s heels and tied it at 54-54 on a Doncic tip-in on the halftime buzzer. Dairis Bertans regained the lead for Milan with a four-point play to start the third quarter. Theodore upped the Milan edge to 6 only to see a pair of three-point plays by Doncic even the score. 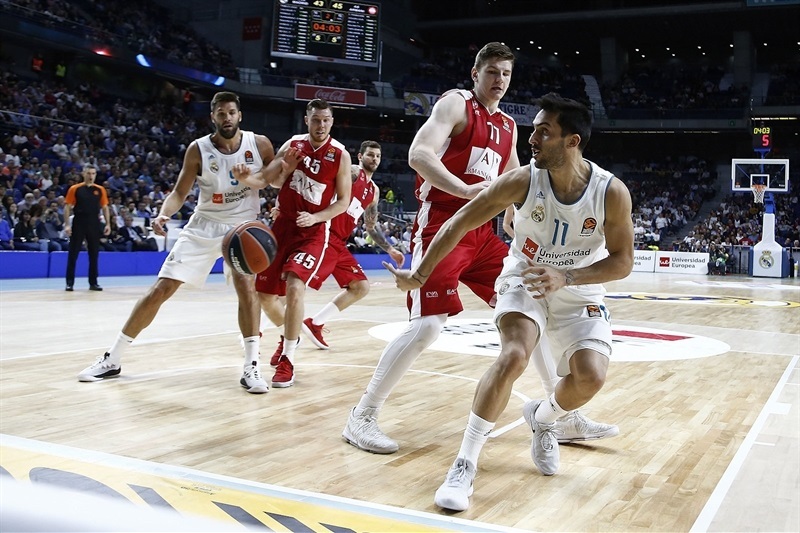 Campazzo added an assist and a layup and Doncic, who drew an unsportsmanlike foul from Goudelock, added 4 more free throws and a layup in what became a 20-0 run and a 74-60 lead. Milan got dunks from Amath M’Baye and Gudaitis in reeling off 8 straight points to get back in the game. A hammer by Gudaitis made it 81-74 through three quarters. Theodore became the second Milan player to foul out when he fouled Doncic in the backcourt and received a technical for his reaction. 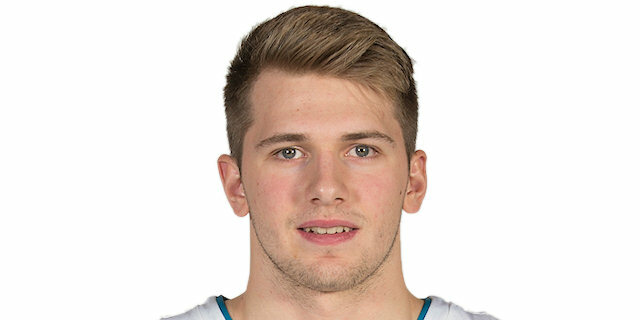 Doncic tied his career high with 27 points with the resulting free throw. 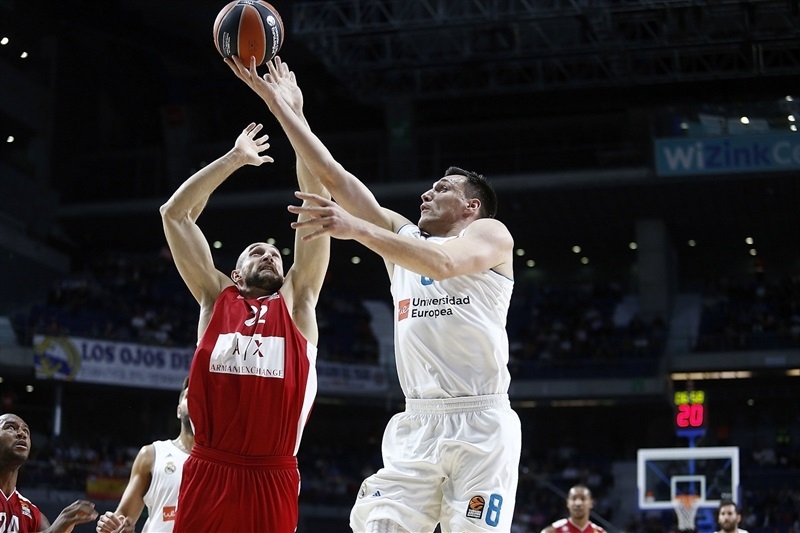 Causeur restored a double-digit Madrid advantage with a layup of an inbounds play. 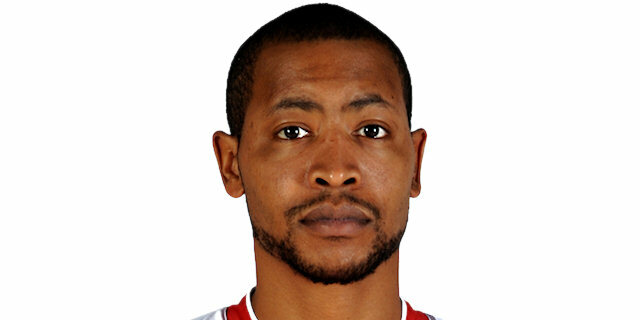 Goudelock singlehandedly halved the Milan deficit. He fired in a big three to make it 92-89 with 2:20 remaining, but Causeur hit a three on the next play. 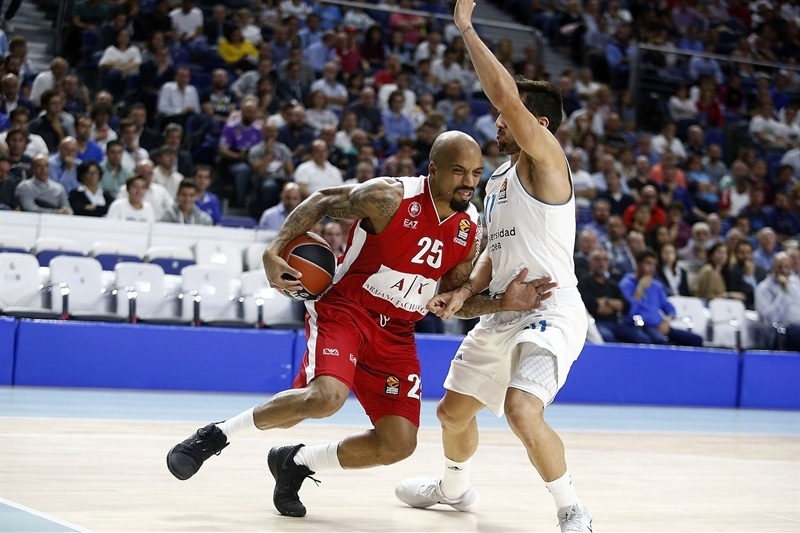 Great ball movement from the hosts set up Taylor for a three that all but iced the game at 98-90 as Madrid marched to victory. "I congratulate the players for the win. We knew it was going to be a complex game, a difficult one against a team with a lot of individual qualities, with an open game, with players who can penetrate, can create their own points. And if they are accurate on three-pointers, it is very difficult defensively. I think the first quarter was not very good from a collective point of view on the defensive side, but in the second quarter we kind of turned it around, we had better defense, recovered some balls and in the second half we felt we controlled the pace of the game. We had a couple good runs of 10, 12 points that we could maintain afterwards. I am happy because we won. " "It was not a negative game for us. Like the first two against CSKA and Fener, we played until the end also tonight. But of course here we had a lot of gaps in many situations and the matchup with Doncic was very difficult for us. He stopped the game in a phenomenal way. Anyway we stayed in the game, we resisted the first punch. We scored a lot by moving the ball the right way. I think it was a great basketball game for a long part of the game and of course to arrive here and to win we need more. So for sure the number of turnovers and the moment in the third quarter where we lost the momentum. With 17 turnovers it’s difficult here because this is the best fast break team in Europe if you lose the ball. " It was a very hard game from the beginning. We see it wasn’t resolved till the end. We needed to play hard; they played hard so it was a great game. [In the third quarter,] we started running and rebounding and that’s why. We won the third quarter and in the fourth we didn’t run so much, so we suffered, but in the end we won the game. "We made them struggle to get the win. We lost a little bit of control in the middle of the third but never gave up. We need to stay focused because we are playing well anyway."